Thank you for contacting Homecrest Outdoor Living. All product related issues or concerns should be handled by the local dealer or representative whom you purchased your product from. 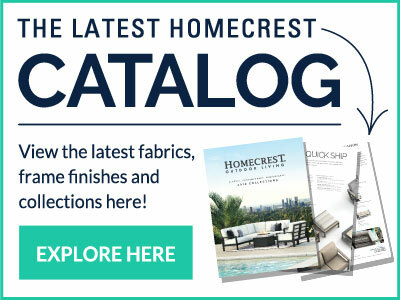 Your message is important to Homecrest Outdoor Living. Our Customer Service team responds Monday through Friday from 8a.m. - 5p.m. to all messages and inquiries. If you contact us during weekend hours, we will respond to you promptly when the business week begins.